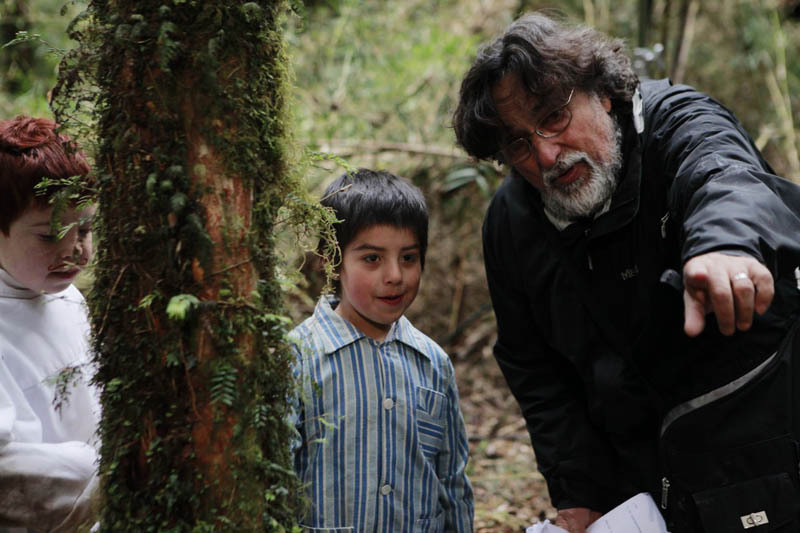 Chilean director Silvio Caiozzi, right, instructs child actors in his film Y de Pronto el Amanecer (And The the Dawn.) The film ran in competition at the 2017 Montreal World Film Festival / Festival des film du monde. The winner will be announced tonight, Monday, Sept. 4, 2017. UPDATE: Y de Pronto el Amanecer did indeed win the Grand Prix of the Americas, for Best Film. I predict that Y de Pronto el Amanecer (And Then the Dawn) will win the competition for best film at the 2017 Montreal World Film Festival / Festival des film du monde tonight. I did not even see all the films in competition, but I really liked The Hidden Sword, from China; Upstream, from Taiwan, was very well done, and friends who saw it told me Anna Karenina: Vronsky’s story was spectacular. Given all that, it might be rash to predict a win for Y de Pronto el Amanecer, but the story, the acting and the scenery in this Chilean film from director Silvio Caiozzi were all so very impressive. The film is 195 minutes long, but I was never bored for even one second. The awards ceremony will be at 7 p.m., at the Imperial Cinema, 1430 Bleury St. When it is over, at approximately 7:30 (so I am told) there will be a free, closing film. The name of the closing film will only be announced at the ceremony. The Awards Ceremony for the Montreal World Film Festival / Festival des film du monde will be at 7 pm. 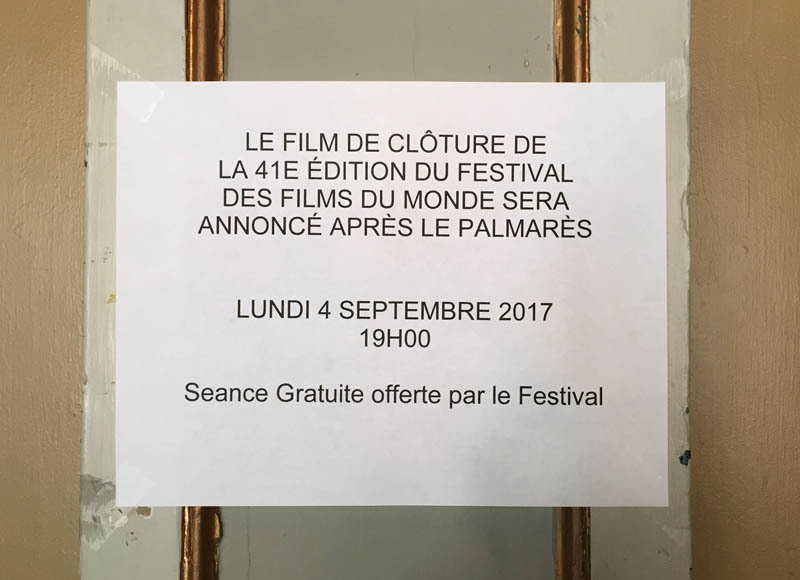 Monday, Sept 4, 2017, at the Imperial Cinema, 1430 Bleury St. When the ceremony is over, around 7:30, there will be a free closing film. Previous Post FFM 2017: The Montreal World Film Festival is not dead yet, thanks to volunteers!